Sometimes, the best jewellery is the jewellery you already own. Well-loved pieces, sentimental jewels or heirlooms passed along the family line may never be ready to be let go. However, with changing styles, individual tastes, and the general wear and tear that comes with life, a restoration or repair may be necessary. Ronald Crisp is a highly respected jeweller with extensive experience in designing custom jewellery as well as remodelling and repairing older pieces. You can trust him to restore your sentimental and heirloom styles to their original style with care and precision. Accidents do happen and, unfortunately, jewellery can break or become unwearable. Instead of leaving a broken piece in your jewellery box to gather dust, consider repairing it with Ronald Crisp Designer jewellery. If you are in possession of an heirloom or have acquired a vintage piece of jewellery, it can be difficult to trust them to a jeweller in the case of damage or a remodel you may not be happy with. Ronald has the experience and delicate technique required to treat heirlooms with respect and care. He will always discuss your individual case at length until you are happy with the direction and method of the restoration. If you no longer love the current design of a piece of jewellery or have a few different pieces you no longer wear, remodelling or rejuvenation may be an option for you. It is not uncommon for clients to come into the showroom with their grandmother’s or another relative’s engagement ring for remodelling. The sentimental nature of an heirloom adds something very special to an engagement ring, or any piece of jewellery for that matter – however, the style and feel may not match your personal style or current trend. We can use the basic elements of an heirloom or vintage piece and remodel it, giving it a modern twist more to your own style. This means you can have the best of both worlds – the sentimental beauty of an heirloom with the influence of your personal modern style. 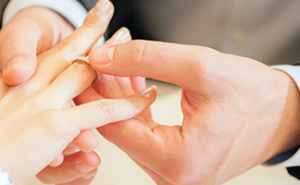 If you have jewellery to restore or repair, contact Ronald Crisp today. His experience, skill and dedication can transform you old or unwearable jewellery into stunning statement pieces you will love to wear.